Please don’t groan when you see this post title. I admit that I did not have very high expectations for this movie either. I even planned to be doing other activities while the movie was on. 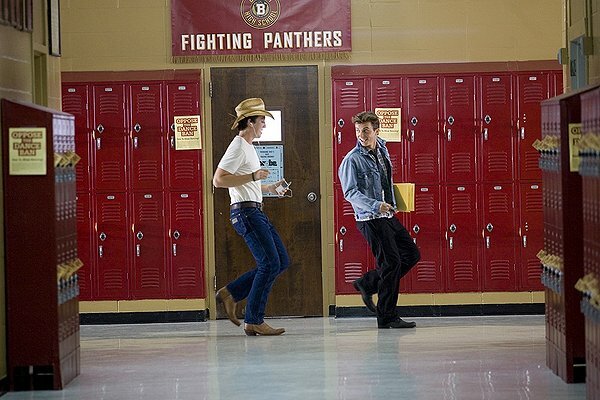 The truth is, the Footloose remake is a fun time. 1. Miles Teller AKA Willard– this kid stole the movie playing Ren’s new friend. No backwoods country stereotypes here; Willard is just a nice Southern boy who lacks the dancing gene and is pretty darn scrappy in a fight. 2. The dancing– The dancing is fantastic; it is fun and the main characters really deliver. We already know that Julianne Hough is a ball room champ…but Kenny Wormald is the real deal too. He has been dancing and competing for years…plus he is really from Boston so that is no fake accent you are getting. 3.The movie is just plain nice– you like the characters. No one is horrible beyond belief, you pretty much expect the behavior that you get from everyone. Sure there are still antagonists, but you see them coming from a mile away and they are insignificant overall. 4. Filmed in Georgia…at our very favorite drive-in theater, Starlight Six! This place makes movies magical, I am happy to see it grabbing a moment in the spotlight. 5. Ren’s family– they are supportive. His Uncle sticks up for him, his aunt supports his petition and the little girls (his cousins) teach Willard how to dance as they sing 80’s songs. Ray McKinnon (also from Take Shelter and Sons of Anarchy) plays his Uncle, this guy is a great actor and I think you will be seeing more of him. So let’s recap….need something to do on a weekend afternoon or evening? 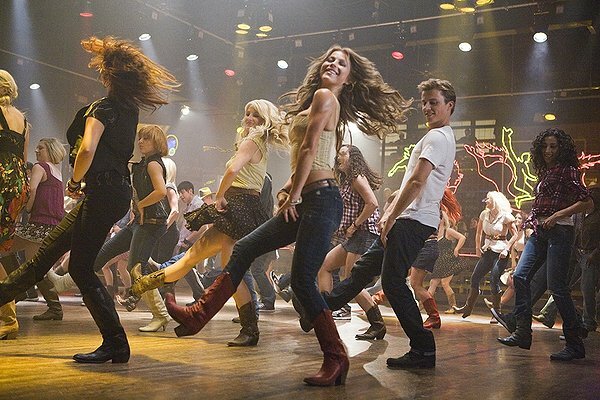 Rent Footloose, do a little dance in your living room and be happy. Most importantly, did he punch dance out all his rage in an abandoned warehouse? As someone who secretly wants to have his own dance crew, I am dying to see this. Your commentary about Ren’s cohort really sold me! Just finally saw the movie tonight. What a feel-good flick! The dancing felt right–nostalgic but not too hokey. The characters worked–not overly tyrannical or rebellious. It made me smile–pretty much throughout the movie. The only shortcoming, in my opinion, were all of the covers from the original soundtrack. The originals were better and there didn’t seem to be any reason to change them up. 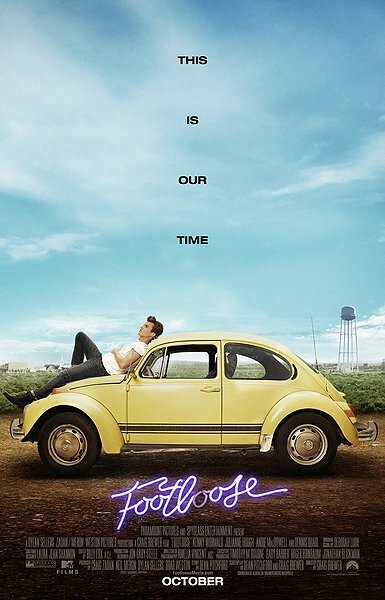 Anyway, loved it, will watch it again, might even buy it, and will feel nostalgic about it (even if the original hits a little closer to home). Everyone should probably see this.